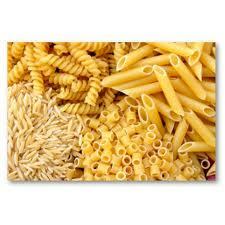 If you find spaghetti a bit messy when you're eating it however, store whatever pasta you and your family likes to eat. I like to store Pene and Spirals, because I can get that easily at my local Aldi store. I store my pasta in a large plastic tub (with sauces) on top of my kitchen cupboards. This keeps rodents and other nasties away from the pasta. I haven't had any weevil problems yet either *knock on wood*. I really do like to make my own fettuccine, but let's face it - sometimes there isn't time to be Super-Mum and the family have to survive on packet pasta sometimes. I'll put up a quick pasta salad recipe that I made last night that was rather yummy in another post this week. It has my secret recipe dressing, so once you read it, you will explode into a thousand pieces ;D Well maybe not. But it is very tasty!